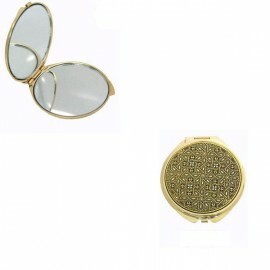 Compact Mirrors-Golden makeup mirrors. Damascene jewelry Toledo Spain. Damascene mirrors for sale. Mirrors with a true damascene design. Compact Mirrors There are 15 products. 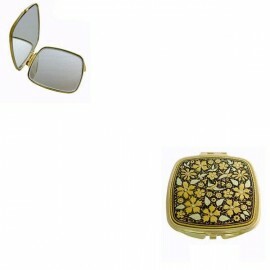 Damascene Gold Wildflowers Compact Mirror. Damascene Jewelry by Midas of Toledo Spain. Golden Compact Mirror. Damascene Womens Jewelry. 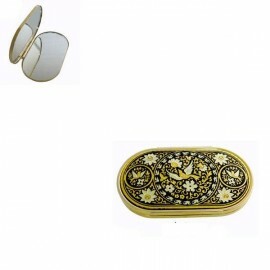 Damascene Gold Starry Compact Mirror. Damascene Jewelry by Midas of Toledo Spain. Golden Compact Mirror. Damascene Womens Jewelry. 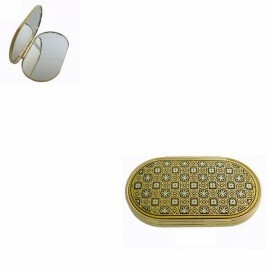 Damascene Gold Opulent Compact Mirror. Damascene Jewelry by Midas of Toledo Spain. Golden Compact Mirror. Damascene Womens Jewelry. Damascene Gold Starling Compact Mirror. Damascene Jewelry by Midas of Toledo Spain. Golden Compact Mirror. Damascene Womens Jewelry. Damascene Gold Embellished Compact Mirror. Damascene Jewelry by Midas of Toledo Spain. Golden Compact Mirror. Damascene Womens Jewelry. Damascene Gold Detailed Compact Mirror. Damascene Jewelry by Midas of Toledo Spain. Golden Compact Mirror. Damascene Womens Jewelry. Damascene Swallows Compact Mirror. Damascene Jewelry by Midas of Toledo Spain. Golden Compact Mirror. Damascene Womens Jewelry. 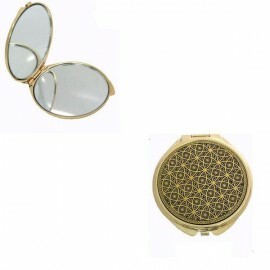 Damascene Gold Ornate Compact Mirror. Damascene Jewelry by Midas of Toledo Spain. Golden Compact Mirror. Damascene Womens Jewelry. 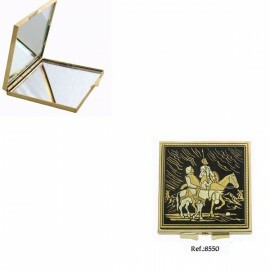 Damascene Don Quixote and Sancho Panza Compact Mirror. Damascene Jewelry by Midas of Toledo Spain. Golden Compact Mirror. Damascene Womens Jewelry. 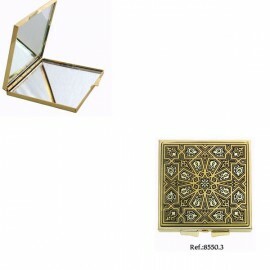 Damascene Gold Rounded Rectangle Compact Mirror. Damascene Jewelry by Midas of Toledo Spain. Golden Compact Mirror. Damascene Womens Jewelry. 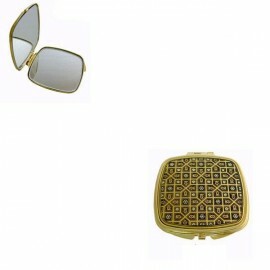 Damascene Gold Magnificent Compact Mirror. Damascene Jewelry by Midas of Toledo Spain. Golden Compact Mirror. Damascene Womens Jewelry. 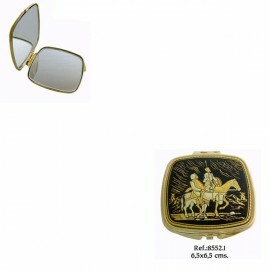 Damascene Don Quixote and Sancho Panza Square Compact Mirror. Damascene Jewelry by Midas of Toledo Spain. Golden Compact Mirror. Damascene Womens Jewelry.